Even the best team in baseball can make mistakes. 1. Being Overconfident: Winning 100 games and annihilating your division doesn’t get you anything. The Phillies need to play like a Wild Card team, and get the job done. It’s still ways to go, and Atlanta is not a terrible team. Here in Philadelphia, fans laugh when the Detroit Tigers or Cleveland Indians come up in baseball arguments or discussions. “Well, if Detroit makes it to the World Series, their going to get destroyed!”. Philly fans have always been too confident in their teams when they are on a roll, and this season is no different. 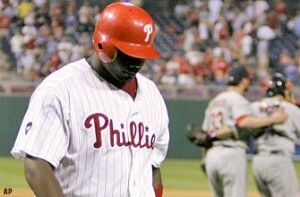 I hope the players are less confident than the fans, or the Phillies’ run to a title may end in a letdown. The 4 Major Sports Teams In Philadelphia. For years, the thought of Philadelphia as a sports city was unheard of and rare by national fanatics. Now, with the recent surge from the Phillies, Eagles, Flyers, and possibly even the Sixers, Philadelphia is finally becoming known to the sports nation. We’ll start with the Philadelphia Phillies, baseball’s best team. With only 2 championships in hand, the Phillies reputation is diminished and scarce. In 2008, doubters were quieted after a postseason field day was brought to the city of brotherly love, with the Philadelphia Phillies defeated the Tampa Bay Rays to win the 2008 World Series. After a year of heartbreak, the Phillies are back for more. At 74-39, Philadelphia is completely destroying Major League Baseball, and a 9.5 division lead over the Braves is showing it. With a more than solid pitching rotation, including Hamels, Halladay, Oswalt, Lee and outstanding rookie Vance Worley, Philadelphia has a 3.06 team ERA. Recently acquiring OF Hunter Pence from Houston solidifies the lineup and brings more power and consistency for the postseason. For the Phillies, it can’t get better than this. What’s in a rivalry? Hatred? Two very good teams in the playoff hunt? The Philadelphia Phillies are a very good team, worthy of contending year in and year out. They’re also very good at paying attention, you got something going for you Philly. They watched the Yankees buy pennants for years, and decided to follow the pattern. They are number two behind the Yankees with a payroll of just under $173 million. Their average player is paid over $5.7 million. That’s what I call buying wins. Maybe that is why you are one of nine MLB teams in debt. Now for my favorite part, the Braves payroll comes in at just over $87 million. Now lets do some math, for you Philly fans out there, I will help you out. Roy Halladay is only the second pitcher in baseball history to toss a post season no-hitter. Major League Baseball’s “Year of the Pitcher” has a new defining moment following Roy Halladay’s no-hitter in the Philadelphia Phillies 4-0 win over the Cincinnati Reds in the opening game of the 2010 National League playoffs. In his first-ever post season appearance, Halladay enters some heady company as he joins Don Larsen as the only pitchers in major league history to toss a post season no-hitter. 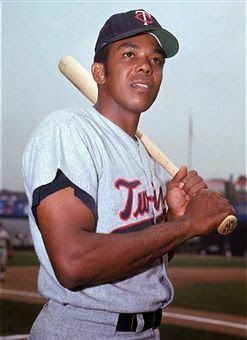 In addition, he became the first pitcher since Nolan Ryan in 1973, and the fourth ever, to toss two no-hitters in the same season. After winning 148 games while toiling away for a decade on a perennial second division team in Toronto, this season Halladay showed that he could also have success on a winner. 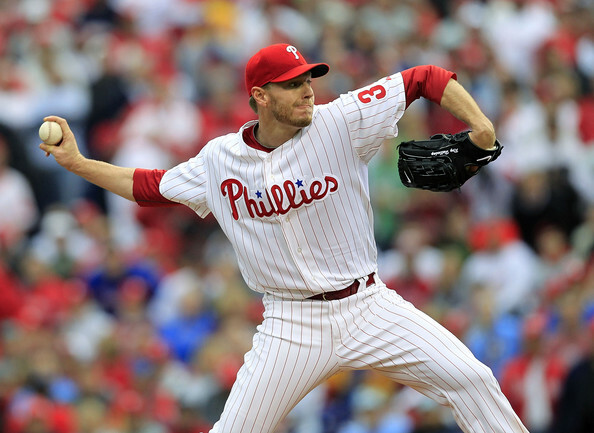 After being traded to the Phillies in the off-season, Halladay won 21 games in the regular season to help lift Philadelphia to their fourth straight Eastern Division title. 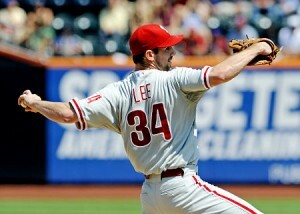 Can Cliff Lee pitch another gem versus the Yankees? I too am quite confident that this series is far from over. On the Yankee side all one must do is just look back a short 5 years when they were one game from eliminating their most hated rival,the Boston Red Sox and unless you’ve been hiding in a time capsule you know what happened there. For the Yanks to close this puppy out they are going to have to do it on the arms of A.J. Burnett, who like his counterpart C.C. Sabathia, will be pitching on three days rest. If he doesn’t get past Cliff Lee they will have to use Andy Pettitte once again on three days rest and if it goes to a seventh game it will be CC once more time on the short rest period. Personally I can’t see this as a formula for success therefore my unwillingness to count the Phillies out just yet.